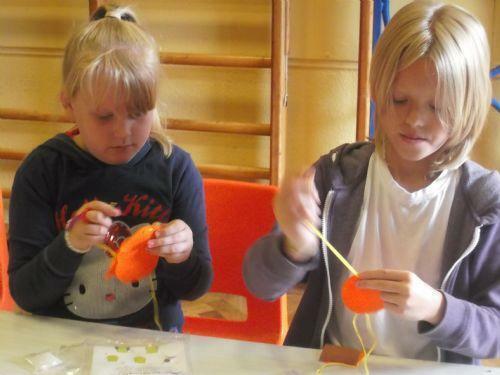 Summer Holidays: Our annual Family Activities programme continues to excite! Once again, our annual Family Activities programme is a hit!! 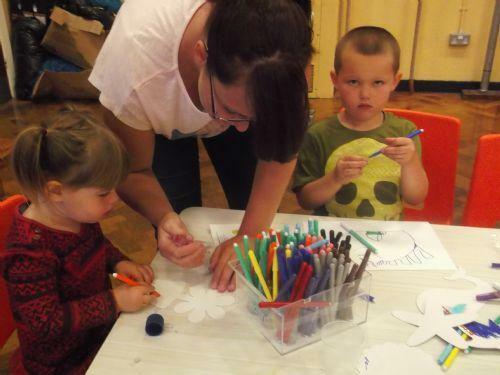 Debbie Shaw, our Child & Family Support Worker, once again hosted Peterbrook’s annual summer family activities programme during the school holidays. Debbie was ably supported for these events by two staff members, Miss Jones and Mrs Westwood. 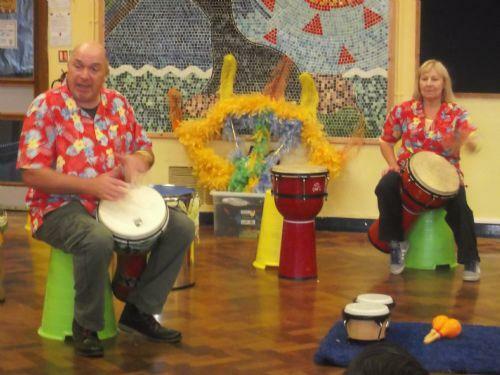 Over the course of these fun days, families could choose their favourite activities, including arts & crafts, a family fun picnic and a samba percussion workshop. 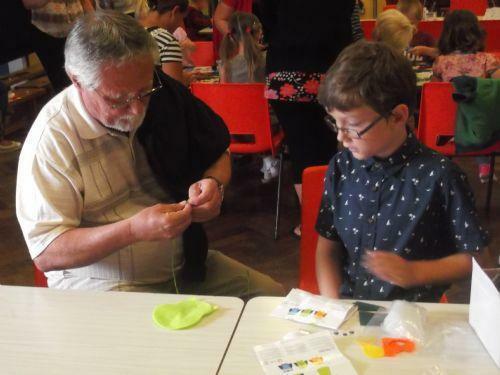 During the arts & craft morning, families really used their imaginations to create some fantastic items, including keyrings, sewn animals, decorated mugs and some superb collages. 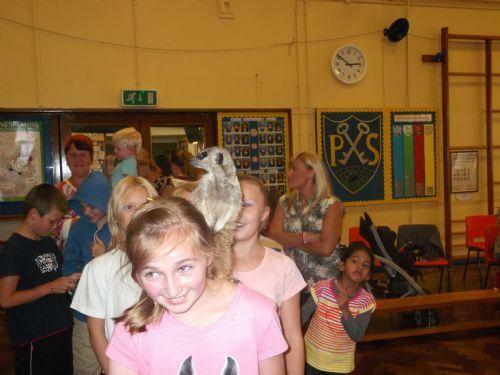 The family picnic and sports afternoon was going wonderfully until the heavens opened and our families swiftly made their way into the school hall. 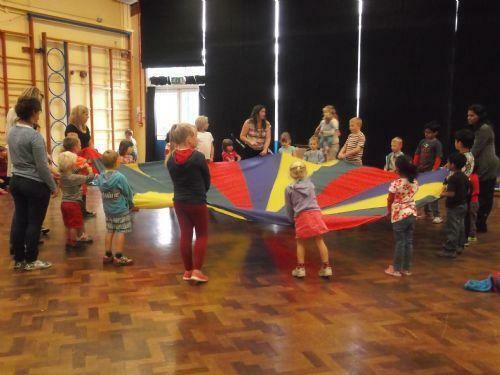 On the Thursday morning, participating families were treated to a brand new activity – Samba! 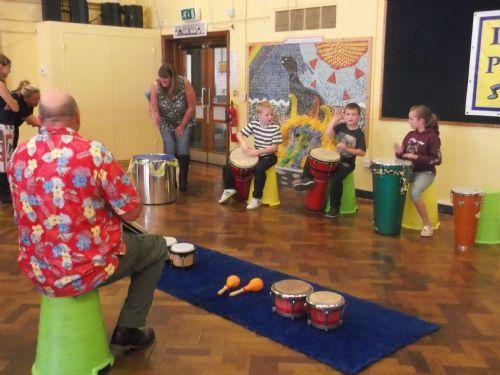 A fantastic time was had playing on the various sized drums and tambourines – and that was just the adults! The final family activity was a favourite as we saved the best to last. Joe from Tropical Inc. came to school and showed us some fascinating animals including a skunk, a meerkat, a corn snake a hedgehog and a gecko. Debbie would like to take this opportunity to thank all of the families who attended the summer activity days and hopes to see everyone again next year. On the samba workshop: Really good! Fun and very enjoyable. Totally worth the time and money. 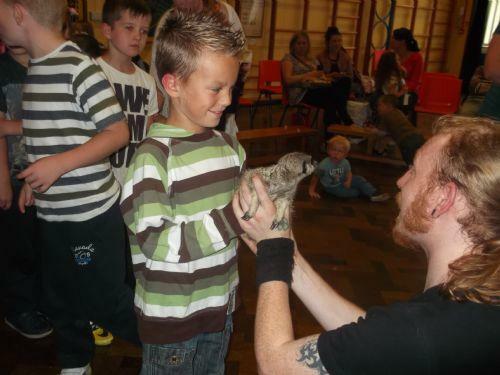 On Tropical Inc: Very educational, we loved seeing the animals, stroking them and finding out lots of information. On the arts & crafts: The children loved making the mugs! Overall comment: Thank you for the summer activities. There were lots of things to see and learn and I’m already looking forward to next year.